75. 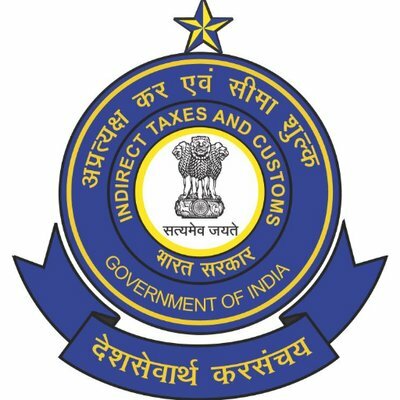 LTE 25.03.2019 NWD-7 Davangere Division Notice inviting Tender for Hiring of One Vehicle on Monthly hiring basis (with driver) for the office of the Assistant Commissioner of Central Tax, NWD-8, Davangere Division for FY 2019-20 - Reg. 72. LTE 19.03.2019 NWD-8 Haveri Division Notice inviting Tender for Hiring of One Vehicle on Monthly hiring basis (with driver) for the office of the Assistant Commissioner of Central Tax, NWD-8, Haveri Division (Davangere location) (Bengaluru North-west Commissionerate) for FY 2019-20 - Reg. 71. OTE 11.03.2019 B-South Notice inviting Tender for Hiring of Vehicles (2 Sedan and 16 small Hatchback cars) on Monthly Rental basis for the office of the Principal Commissioner of Central Tax, Bengaluru East Commissionerate for FY 2019-20 - Reg. 70. LTE 28.02.2019 NACIN Bengaluru Notice inviting Tender for providing fencing over existing boundary wall at NACIN Campus, Bengaluru - Reg. 69. LTE 27.02.2019 Appeals-II Notice inviting Tender for construction of toilets in Government Girls School under Swachh Bharat Scheme- Reg. 68. LTE 27.02.2019 PCCO Notice inviting Tender for Digitization and Cataloging of Employee Records (APAR dossiers) of the employees of GST Bengaluru Zone for a period of 10 years prior to Assessment Year 2018-19- Reg. 67. OTE 18.02.2019 B-South Notice inviting Tender for Hiring of Vehicles on Contract basis for Hqrs. B-South (7), PCCO, BZ (3) and Division offices (9) under Bengaluru South Commissioneate, CR Building, Queens Road, Benagluru-560001 - Reg. 45. 01/2018-19 OTE 08.08.2018 B-North-West Notice inviting Tender for providing security services on Works contract basis in the Ofice of the Assistant Commissioner of Central Tax, Davangere Division, Davangere under Bengaluru North-West Commissionerate- Reg. 10. OTE 24.10.2017 B-East Outsourcing of Housekeeping in respect of Bengaluru East GST Commissionerate-Notice inviting Quotations. 9. OTE 09.10.2017 B-West Inviting quotations for hiring of vehicles-Reg. 8. 01/2017 - LTE 15.09.2017 B-North West Quotations for hiring of vehicles for Assistant Commissioner of CGST, NWD-6, Chitradurga-577002-Reg. 7. OTE 15.09.2017 B-East Outsourcing of Security Services in respect of Bengaluru East GST Commissionerate-Reg. EXTENSION OF DATE FOR TENDER for Outsourcing of Security Services in respect of Bengaluru East GST Commissionerate-Reg. 4. 01/2017 - LTE 01.09.2017 APPEALS-II Notice inviting qoutations for hiring of vehicles- Reg. 3. OTE 30.08.2017 B-East Outsourcing of House Keeping in respect of GST Commissionerate, Bengaluru East- Reg. 2. OTE 30.08.2017 ADG SYSTEMS Call for quotations for House Keeping Services- Reg. 1. 01/2017 - LTE 30.08.2017 ADG SYSTEMS Notice inviting quotation for hiring of vehicle- Reg.